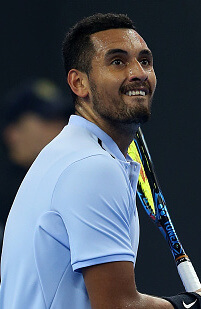 Tie Break Tens | Melbourne January 10. 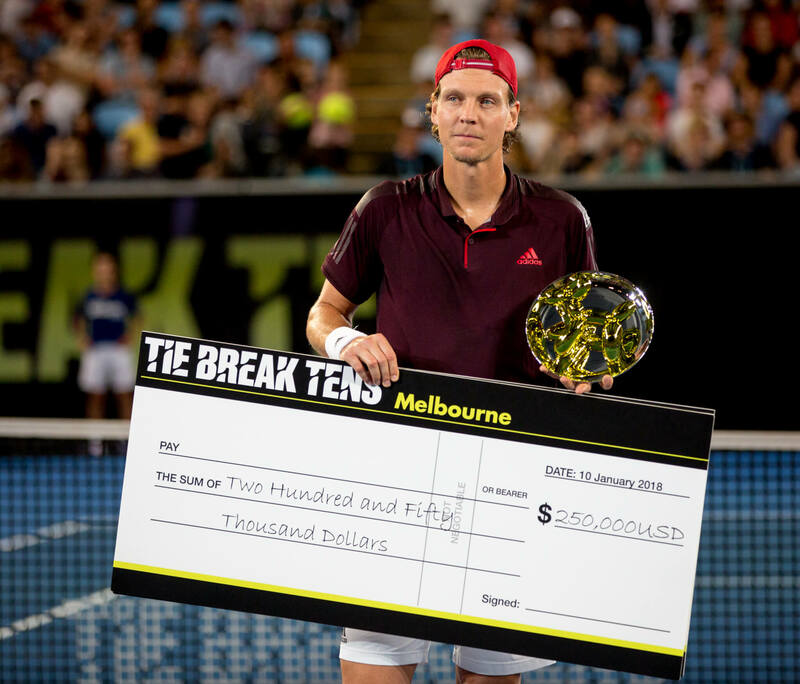 Tie Break Tens kicked off 2018 with a show-stopping tournament down under in Melbourne. 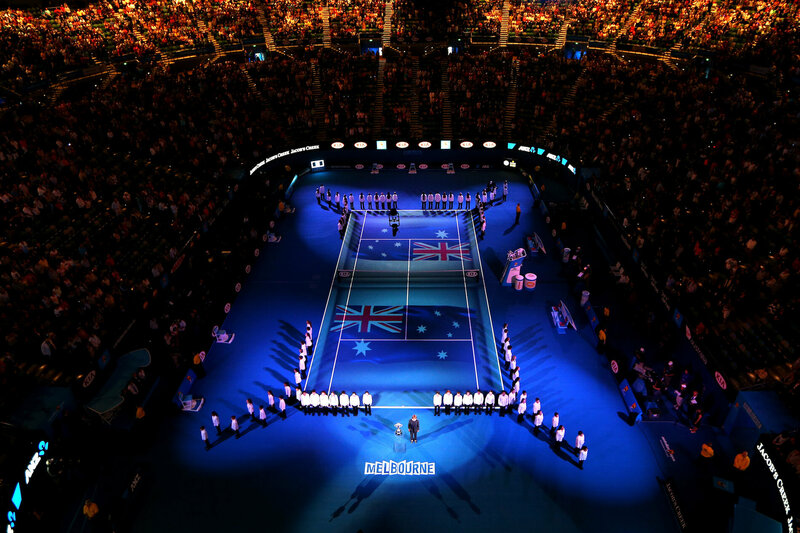 The opening Tie Break Tens of the 2018 series took place on January, 10 at the Margaret Court, Arena just days before the Australian Open. 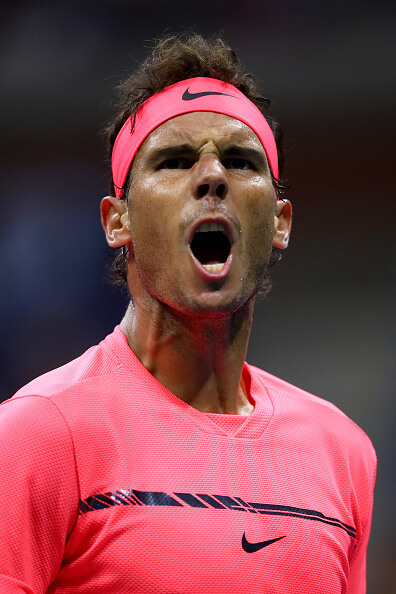 Fans were treated to a gripping evening of tennis which saw Tomas Berdych seize victory and the $250,000 winner-takes-all prize. 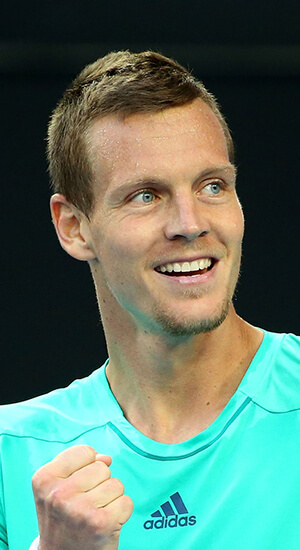 Berdych, from the Czech Republic, beat home favourite Nick Kyrgios and Canada’s Milos Raonic en route to a gripping final against Rafa Nadal which he won 10-5. 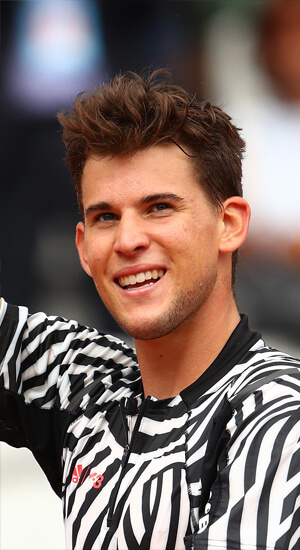 The other top stars who took part were Dominic Thiem, who won Tie Break Tens Vienna in 2016, along with Novak Djokovic, Lleyton Hewitt and Lucas Pouille. Since it launched in 2015, Tie Break Tens has already proved a gripping formula for tennis players and fans alike. The huge prize money at stake, combined with the nail-biting suspense of the tie-break format, makes every point essential. 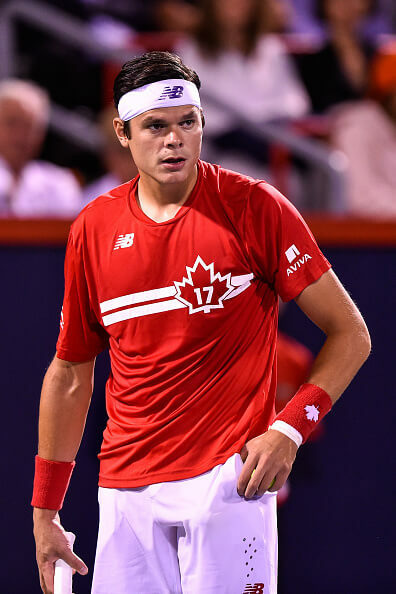 With each Tie Breaks Tens tournament playing down to a winner, fans also get a unique chance to see numerous matches in a single, thrilling evening. There have been four Tie Break Tens international tournaments to date. The inaugural Tie Break tens was held at the Royal Albert Hall in London in December 2015. Rising star Kyle Edmund beat Andy Murray in the final to win $250,000, more prize money than he had won in the whole of 2015. The other contenders were David Ferrer, John McEnroe, Tim Henman and Xavier Malisse competing in a round-robin format. The second Tie Break Tens tournament was held in October 2016 at the Weiner Stadthalle in Vienna, Austria. Andy Murray was again in the final but lost to Dominic Thiem. 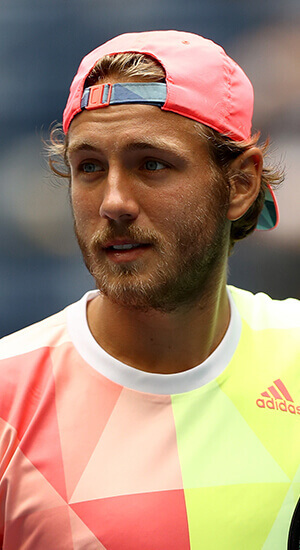 Goran Ivanisevic, Jo Wilfried Tsonga, Marcus Willis and Tommy Haas also competed. Theim took home $250,000 for his efforts as well as the Jeff Koon’s trophy. The third Tie Break Tens took place in Madrid in May 2017 in partnership with the Mutua Charity against domestic violence. There were two tournaments – men’s and women’s – and a knockout format for the first time. 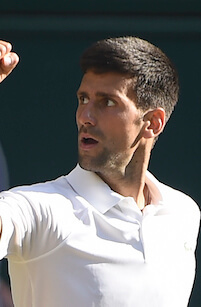 Grigor Dimitrov beat home favourite Feliciano Lopez in the Men’s final while Simona Halep defeated Svetlana Kuznetsova to win the Women’s tournament. 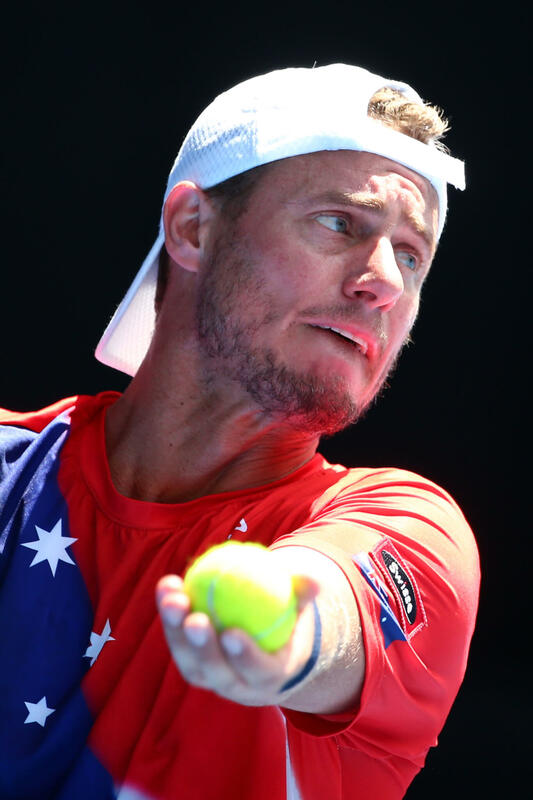 The other competitiors were Tomas Berdych, Dan Evans, Lucas Pouille, Jack Sock, Fernando Verdasco and Milos Raonic along with Garbine Muguruza, Maria Sharapova, Monica Puig, Johanna Konta, Madison Keys and Agnieszka Radwanska. Both tournaments had a winner takes all prize of $250,000 and both champions generously donated $50,000 each, from their prize fund to the Mutua Charity.